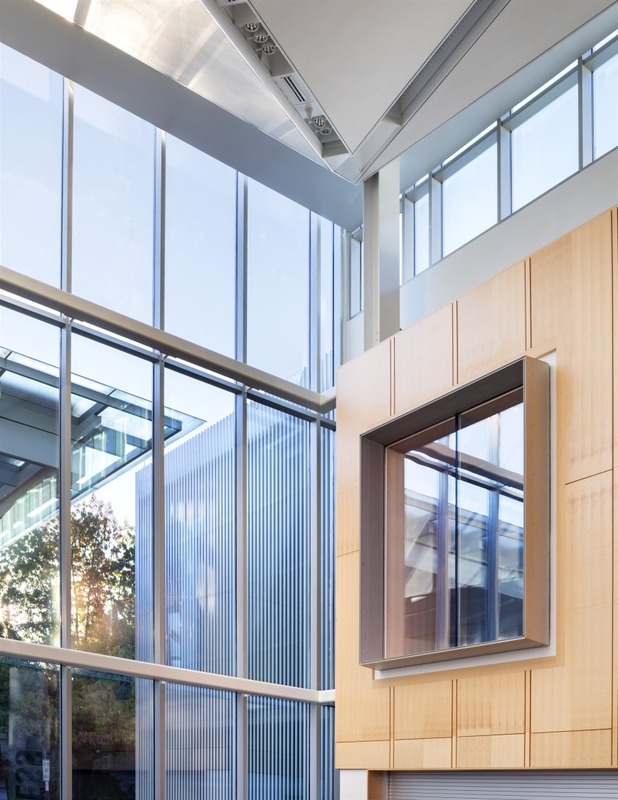 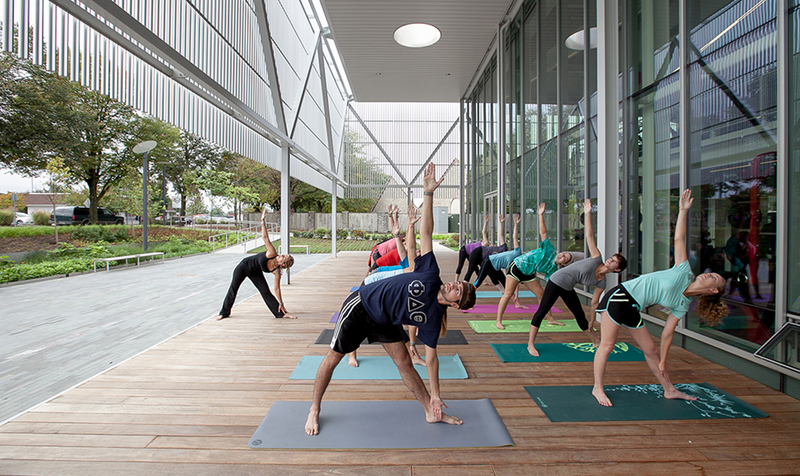 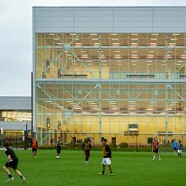 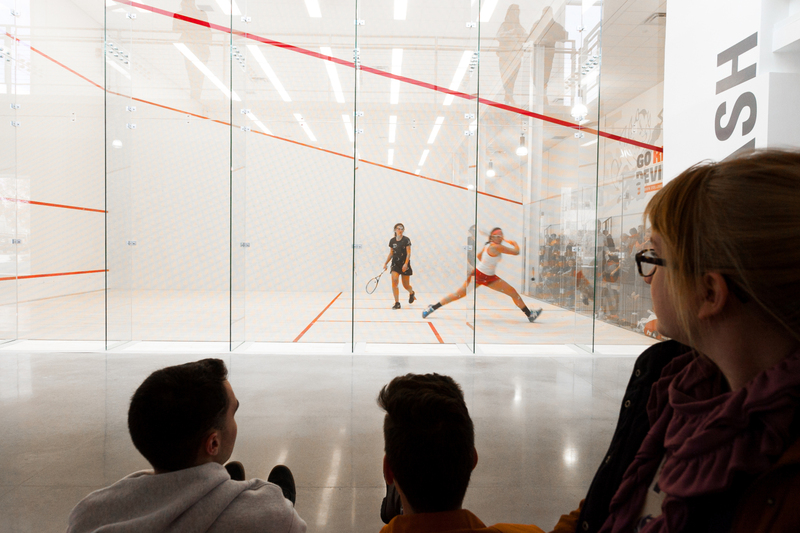 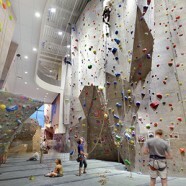 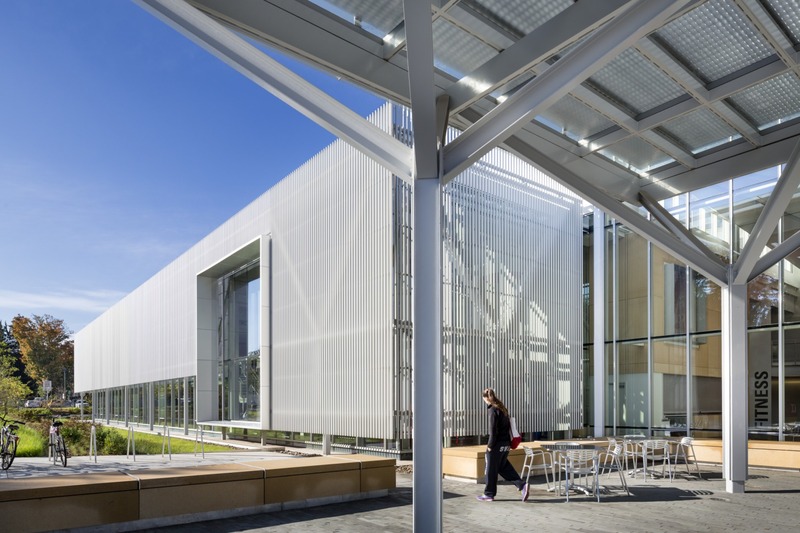 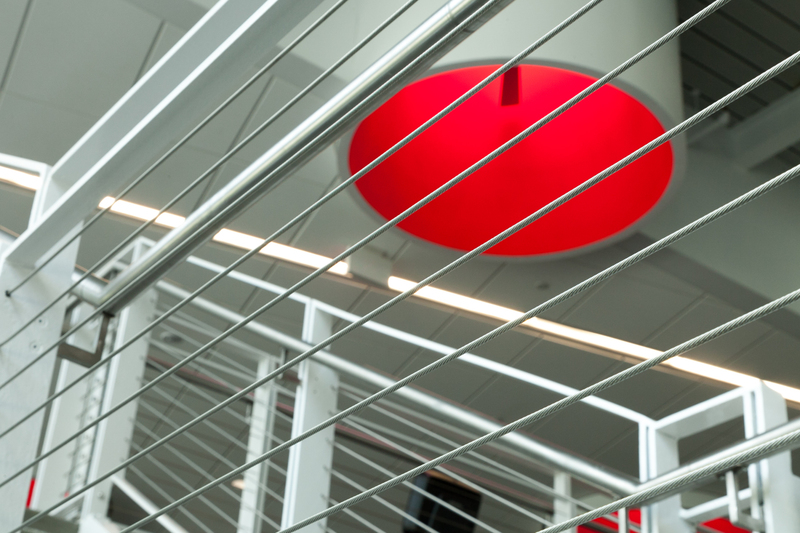 The renovated and expanded Kline Center is a building of opposites. 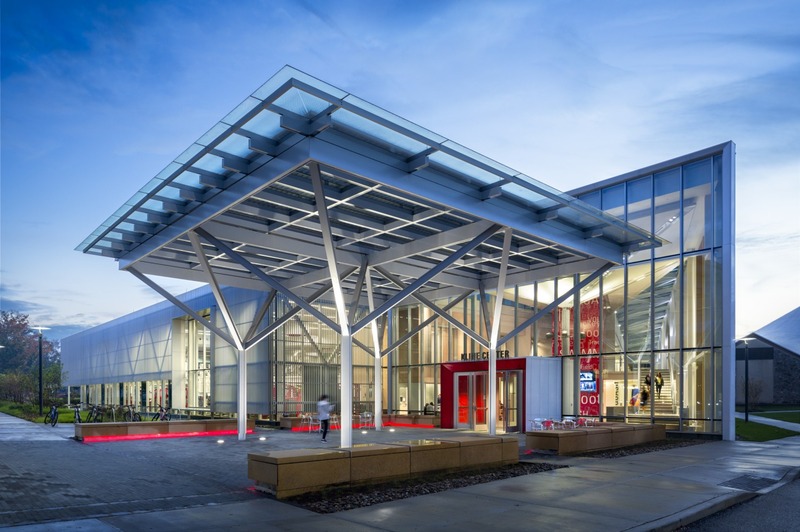 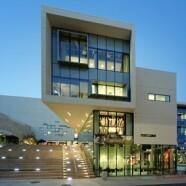 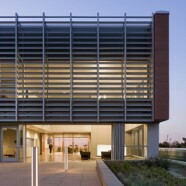 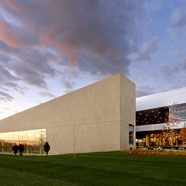 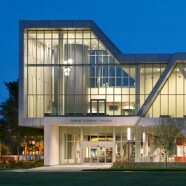 The center’s addition is designed in many ways to be the antithesis of the historic building. 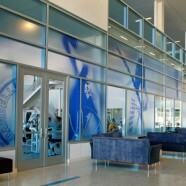 The new center is light as opposed to dark, open as opposed to closed, etc. 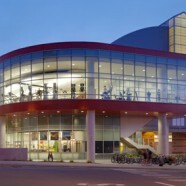 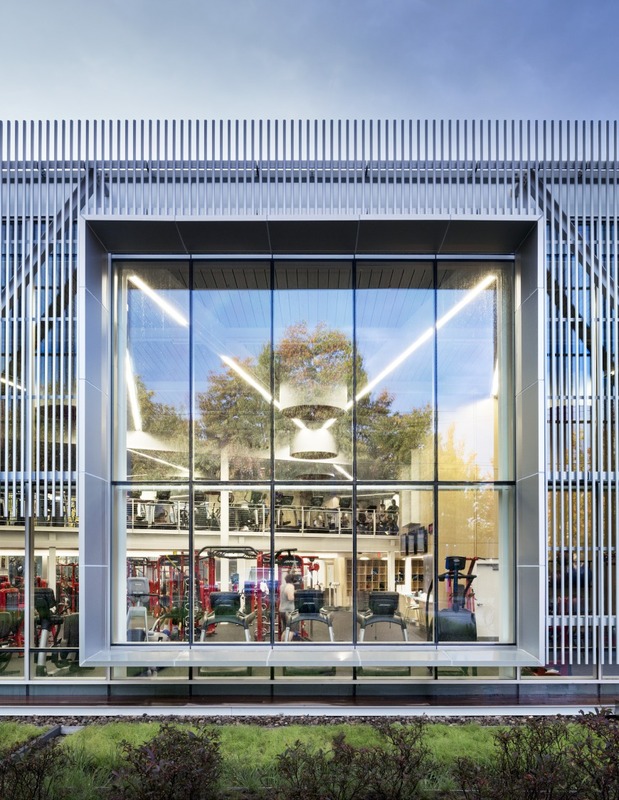 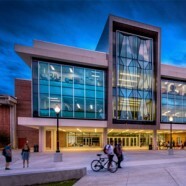 The Kline Center is the first phase of a multi-phased renovation and addition to Dickinson College’s Kline Athletic Center. 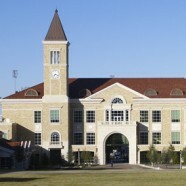 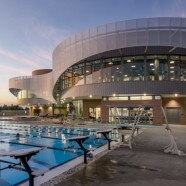 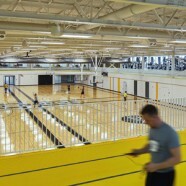 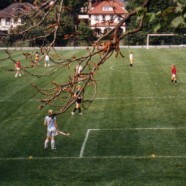 It provides needed additional space for Dickinson’s athletics programs and all students. 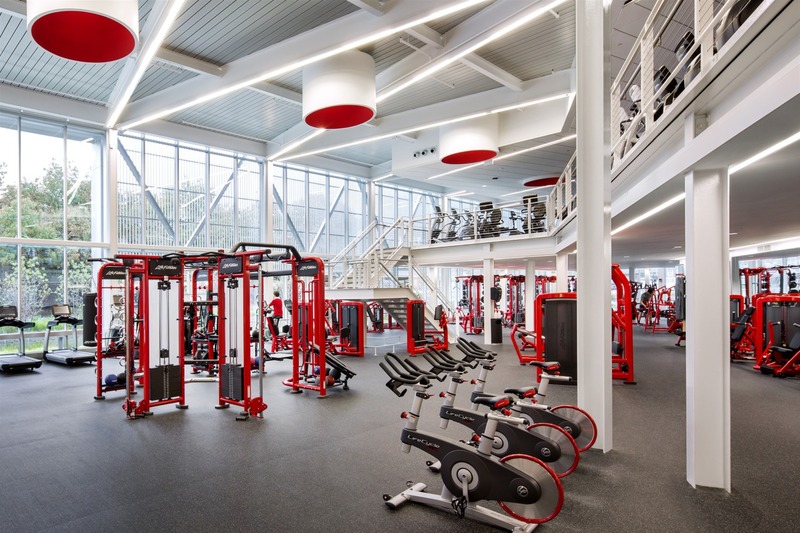 New and enhanced features include additional fitness space, workout studios, squash courts, a basketball arena and natatorium. 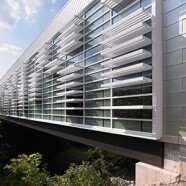 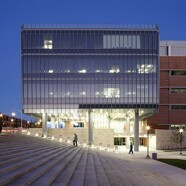 The new building helps form the Western Terminus of Dickinson Walk, a major campus pedestrian route, and helps visually announce athletics to the campus. 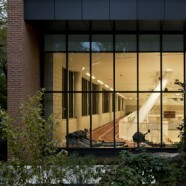 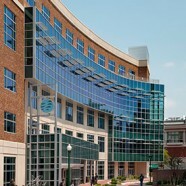 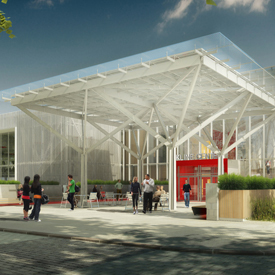 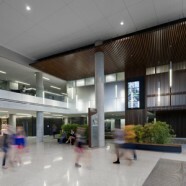 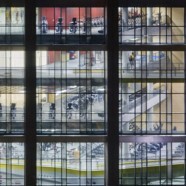 The center seeks to capture the energy of Dickinson Walk, bring it into the building, and extend its reach further to the athletic complex and fields to the west via a glazed sky-lit concourse. 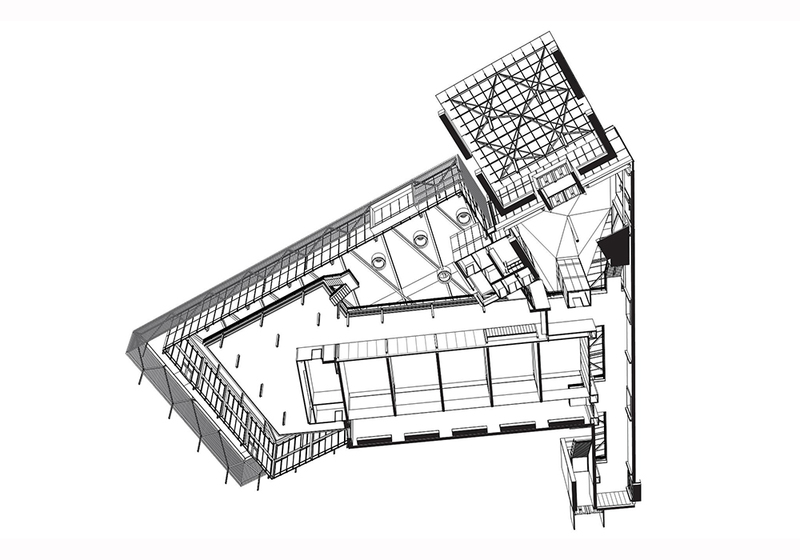 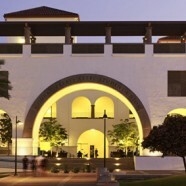 The existing building, a unique structure designed in the early 80s’ by the architect/engineer Daniel Tully, offers an architecturally significant long span roof, made up of timber framed, hyperbolic parabola roof sections. 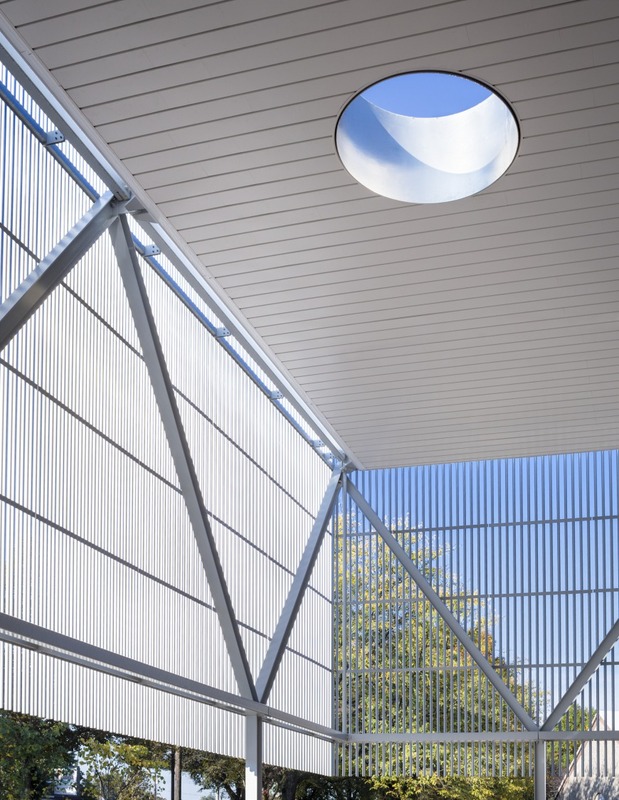 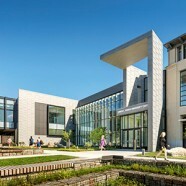 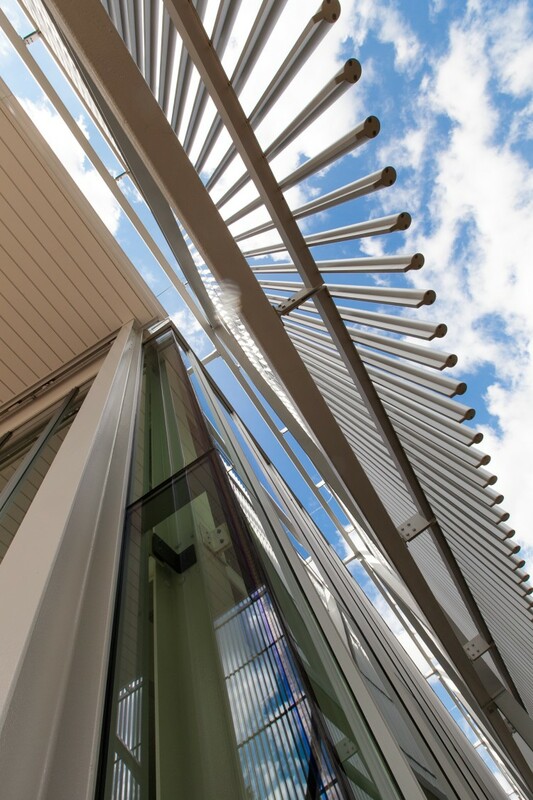 The roof forms a visually active mountain-like profile on the campus skyline. 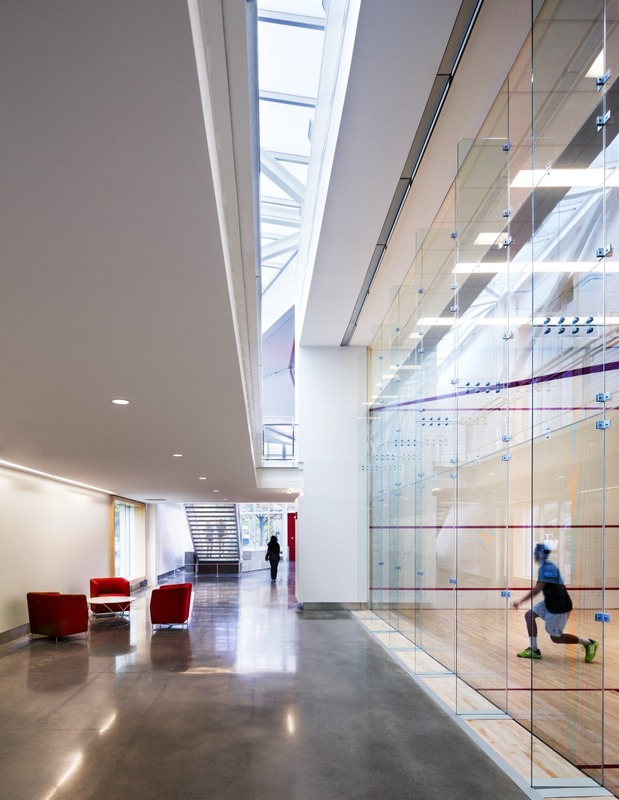 Meant to create campus community space, the entry court is populated with tables and chairs. 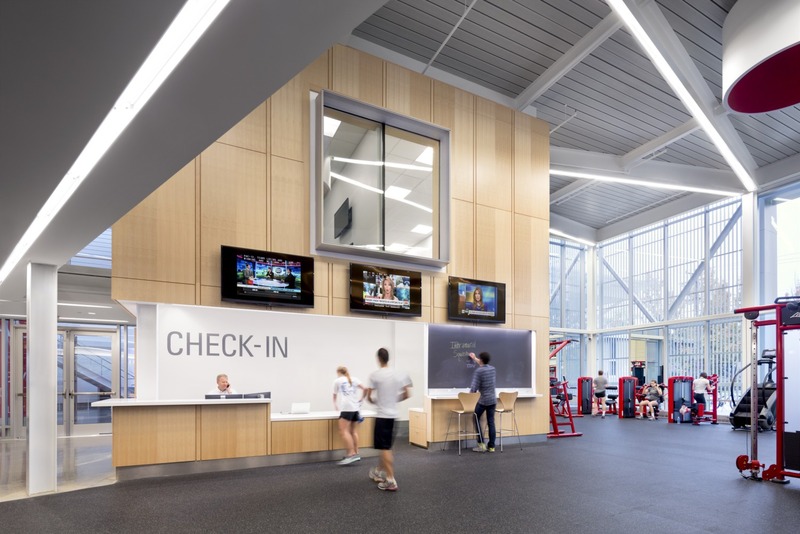 Directly inside, the new student commons is a sky-lit lobby which starts an organizing concourse that will eventually link all the athletic activities in the new and old Kline Center. 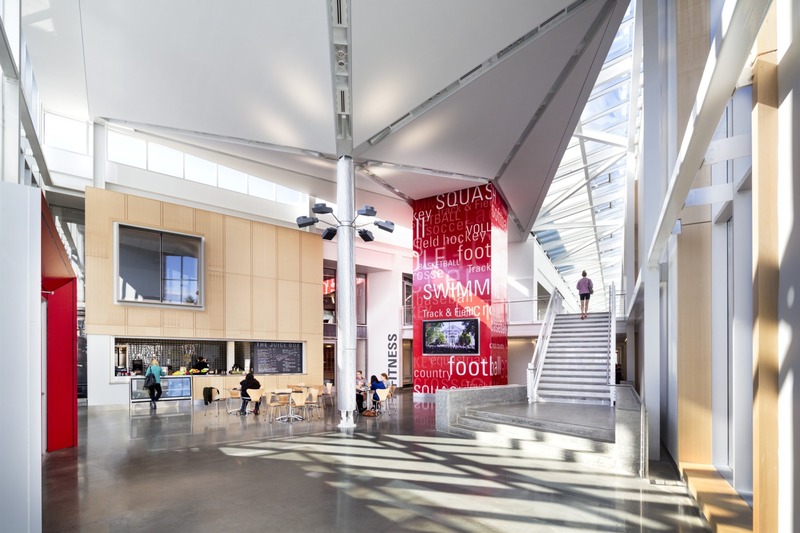 The commons contains a small café and an assortment of student study spaces that can be reconfigured for student programs and activities. 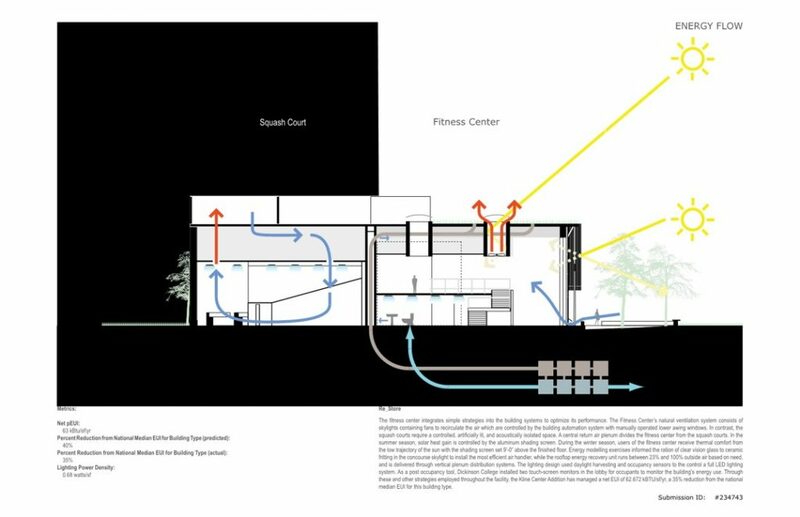 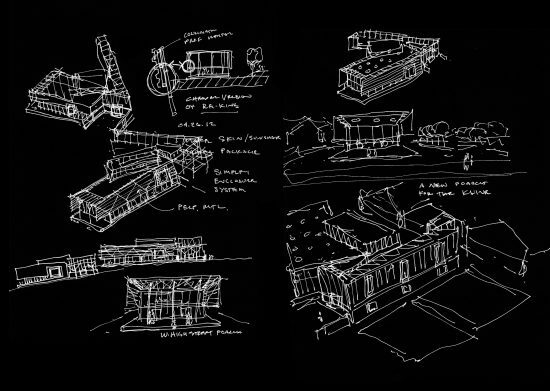 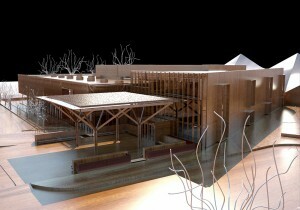 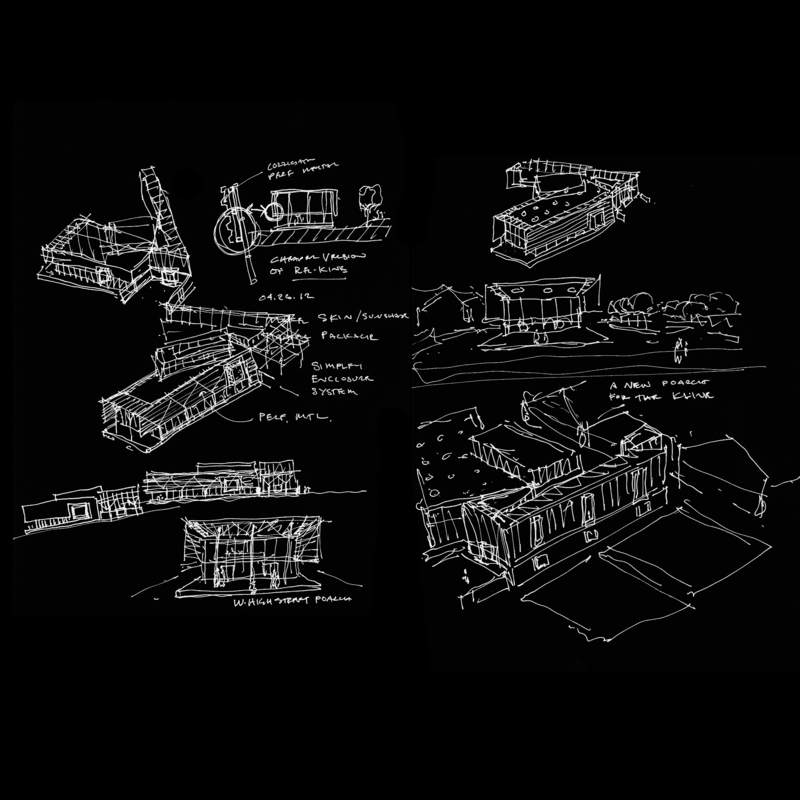 This project is about the renewal, rebirth and reimagining of the Kline Center, let’s call it the Re-Kline.